He has his own landscaping company, “The Brass Farm”. After talking until 11:30pm, I went to my bedroom (later I found out it was his room….he slept on the couch) and discovered this guy lurking in the corner! In spite of my roommate, I slept well and the next morning Steve made us scrambled eggs and sautéed zucchini. 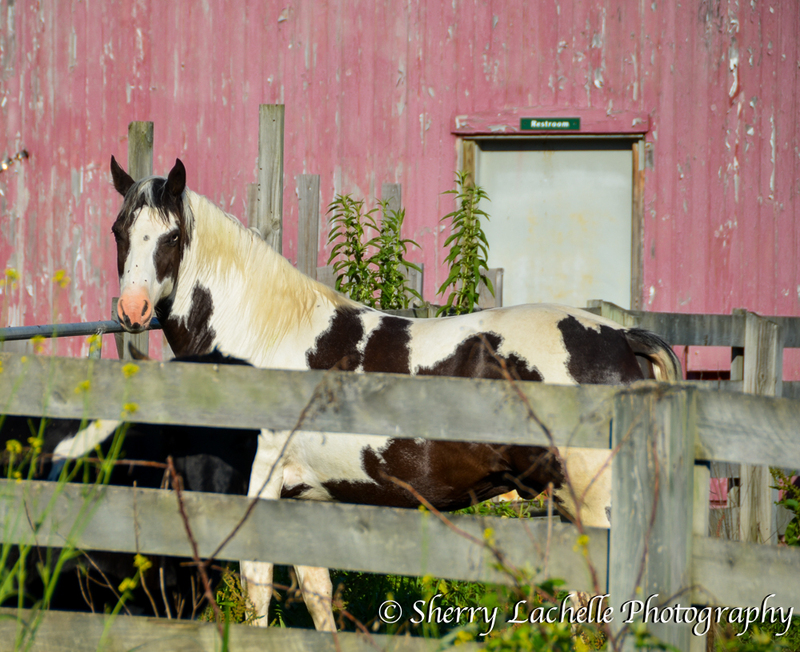 Before leaving, I took another photo of his beautiful horse! 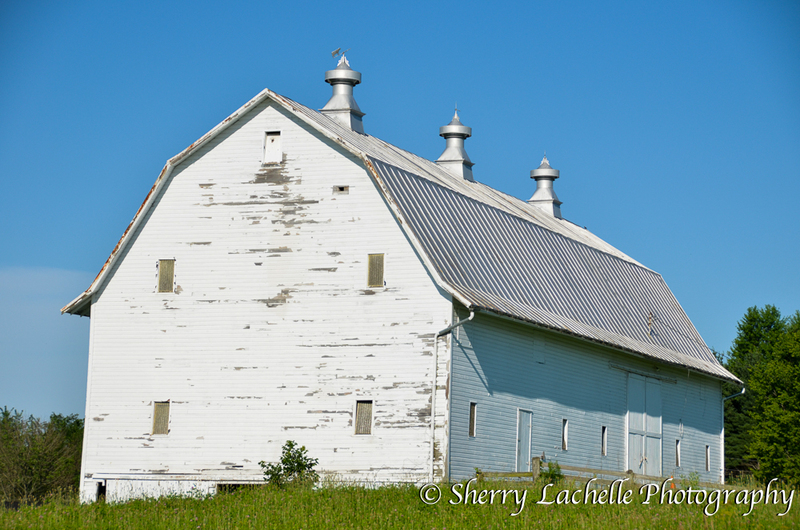 On the way home, this aging barn gleamed white against the bright blue sky! I was only gone 24 hours and had a grand adventure in the great State of Ohio! 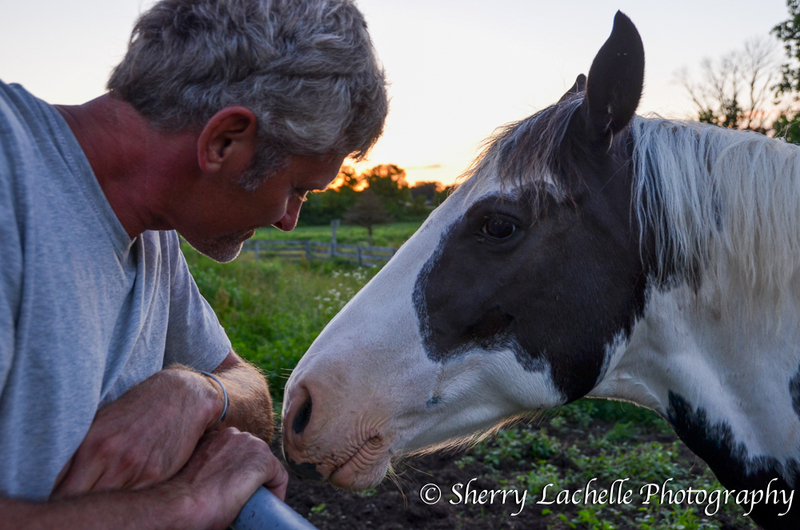 I loved this “down home” sweet collection of farm animals and nice man, Steve. 🙂 I know someone who lives in Mt. Vernon and would have loved meeting you at 36/37 on I-71 at Panera Bread. Missed opportunity. Someday, though. . .
Darn…I would’ve loved to have met you Robin! Hi Sherry! I’ve arrived at your blog via Jennifer’s Journal and I’m so glad I came over. I enjoyed your photo tour of your cousin’s farm. He has quite the talent and sense of humour! 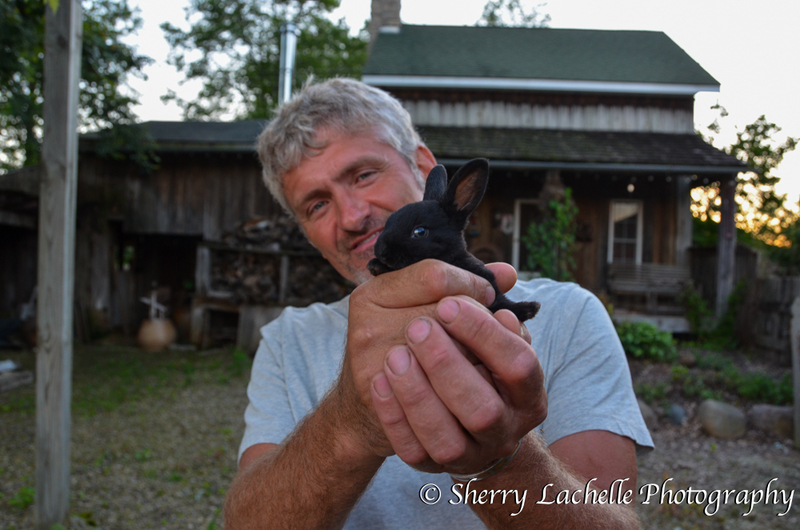 Your photos made me yearn for the farm life. I’ll be following along to see what other adventures you have! Hi: I too found my way here from Jennifer’s blog. I so envy you your ability to document events in your life with photographs. I have a camera but you’d never know it – its batteries are always flat and its cupboard (sorry, closet) is always closed. I must change! These are beautiful photographs, by the way, especially because they say so much about the person. Thank you Frederick. I’m curious…what do you think they say about me? Thank you! That scene was just waiting to be captured! Thank you so much! I’m popping over to your blog now! Hi Carrie! 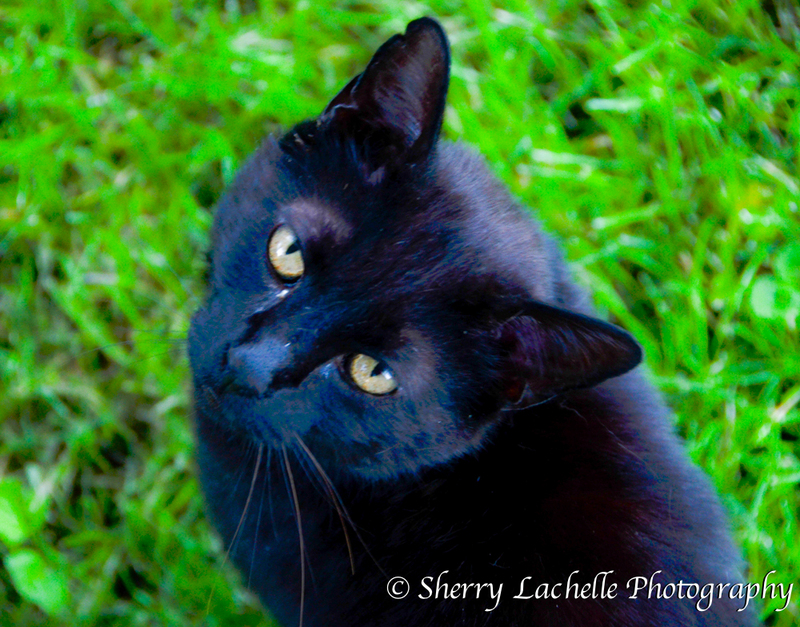 Thanks for stopping by…I love cats too! That bottle shot is truly brilliant. Gorgeous. Love the cow photo the most. 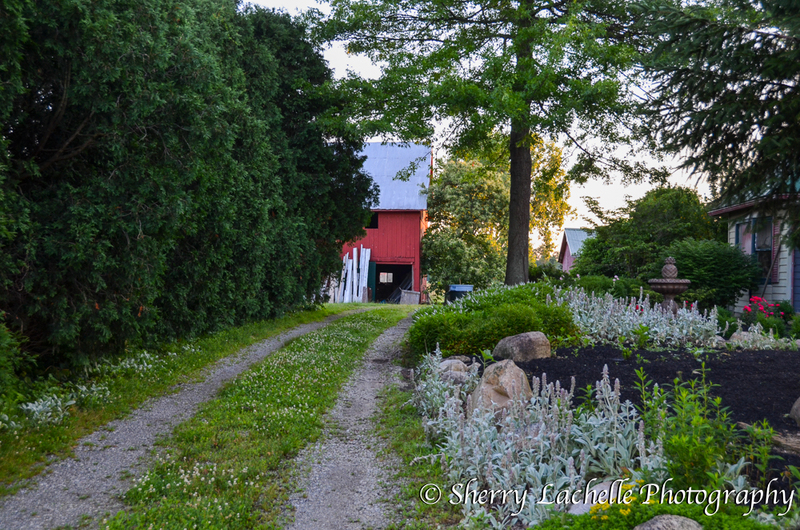 The peaceful scenes remind me of the Amish communities near where my husband grew up. That’s my 2nd favorite…after the bottles. What a beautiful place! 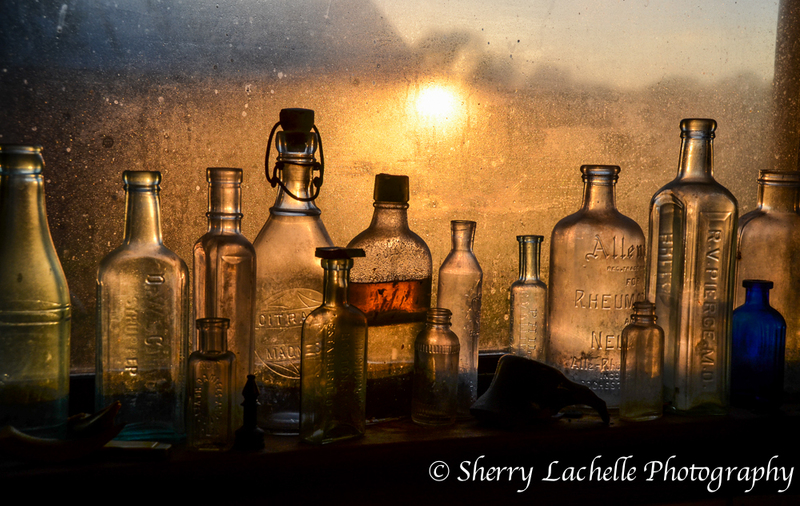 I really like the photo of the empty bottles against the window. Very ethereal. Thanks Alejandro! That’s my favorite photo also. I don’t know if I could have slept in the same room as the guy with the buggy eyes and hungry teeth, but the rest of the trip and the place look wonderful. Yes, and if you’re tired enough, that helps a lot. 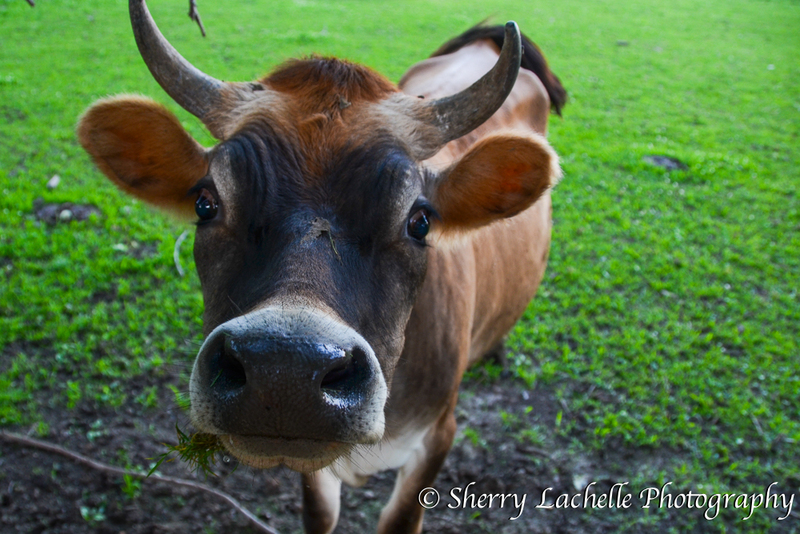 Looks like some more peaceful country life, Sherry. Great pictures. I especially like that one where the sun is shining through the trees, with the house just barely visible in the backgropund and those lovely yellow flowers in the foreground. It has kind of a mystical atmosphere. Well, and then there are the kitties. Sweet creatures, aren’t they? 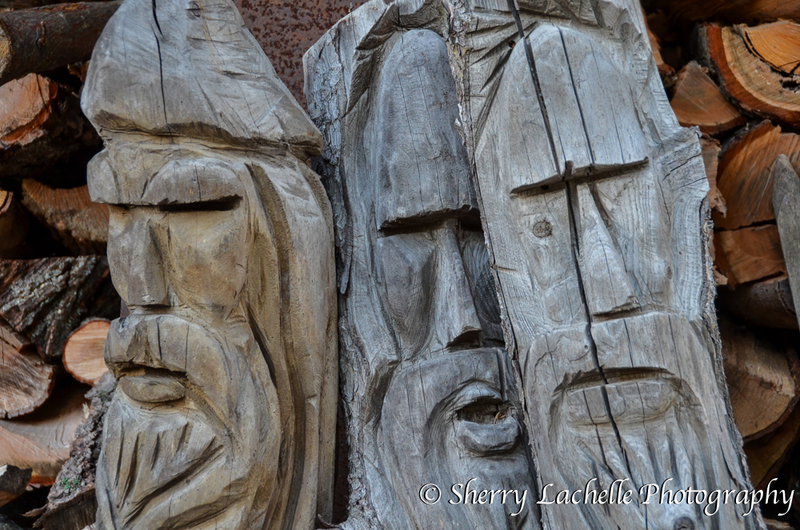 Oh, and your cousin is an artist, with his wood carvings. It surely was a wonderful outing for you. P.S. : Those recent postings of yours make me even more sure than before that I need to see Ohio some time. Thanks Pit…it is very peaceful. We were admiring the stars that night while seated outside talking. Steve is an artist…he’s so busy with his landscaping business, he hasn’t had time for it though. Yes…you need to come to Ohio! Stay with us!! Thanks for the (repeated) invitation. I appreciate your friendliness a lot and will certainly take you up on it. But not this year, the way things are looking just now. We’ve shelved our plan [you remember, we talked about that] to drive up to West Virginia and on the way back, swing through Ohio and visit with you. That trip would have taken 3 weeks, and in view of the fact that we’ll definitely go to Germany in October for a full four weeks [I’ll be showing friends of ours my home country], doing another longish trip would have been too much. Thus, for our anniversary, we’ll go to the coast [very likely Port Aransas, our favourite of old, or Galveston] for just a few days. So, our trip to WV will have to wait some. But it certainly is on our bucket list, as is Ohio. Beautiful shots of a beautiful place on earth! Thanks Jodi! It is special there. I can tell 🙂 You captured it so beautifully! Wow! A treasure trove of gorgeous shots. Love them.